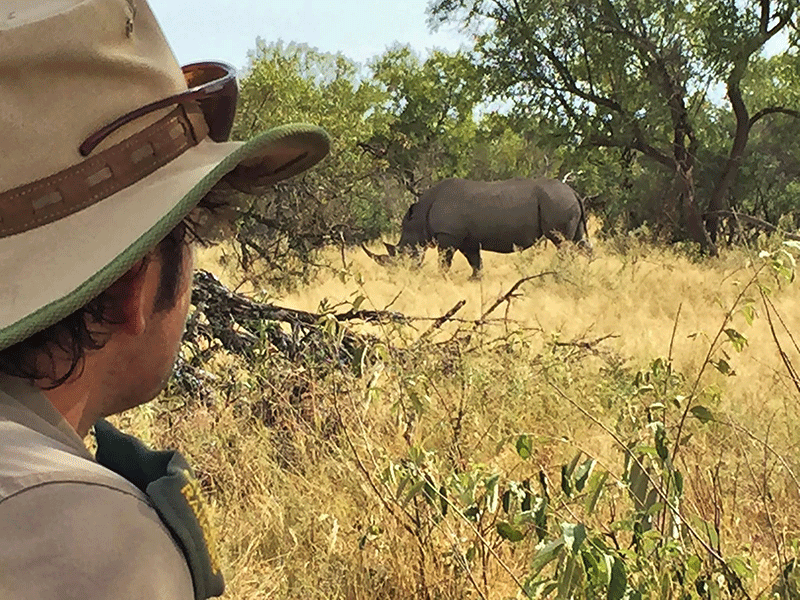 Limpopo Field Guiding Academy (LFGA) prides itself on being an industry leader in the training and development of Safari Guides in Africa. Based in Limpopo, South Africa, we have training sites in Gauteng, Limpopo and Mpumalanga – all of our sites are developed around nature immersion, and we subscribe to the philosophy of “switching off and tuning out”. With a focus on minimal ecological impact, our base camp is tented and vehicle-based activities are kept to a minimum. Established in 2003, LFGA has become synonymous with quality, and our graduates are to be found adding value to the greater conservation effort in all parts of Africa. Not only do we produce guides, trackers and rangers of the highest quality, we also believe that our students become part of the LFGA family. OR Tambo International or Lanseria – both are one hour away from base camp at Dinokeng Game Reserve. Full FGASA endorsed Field Guide (Level 1) course – all aspects of nature and guiding skills covered, including the evaluations for the CATHSSETA National Qualification (NQF2). Shorter mentorship courses towards FGASA and CATHSSETA qualifications, a training intensive for those on time and money budgets. Track and Sign course with the option of CyberTracker evaluation. FGASA endorsed Back-up Trails guide course – all aspects needed for the FGASA qualification, with PFTC as an option. Knowledge Enhancement course – the finishing touches for the apprentice guide. Students are housed in tented accommodation, with fixed buildings for lectures, dining and ablutions. Pens, pencils, exam pad (make sure you write on both sides of your paper!). “Bush clothes” (neutral coloured clothing) – bright and white do not belong in the bush. PLEASE ONLY BRING CLOTHING FOR 1 WEEK AS SPACE IS LIMITED. WASHING FACILITIES ARE AVAILABLE. Malaria Free, Big 5 – that is at Dinokeng GR, where the base camp is. Be prepared to fill your mind with knowledge and your heart with wonder! We pride ourselves on giving the very best quality training at the most affordable rates.